Dermalogica is one of my all-time favourite beauty brands as they never ever become complacent with their never ending release of new and powerful skin care products. 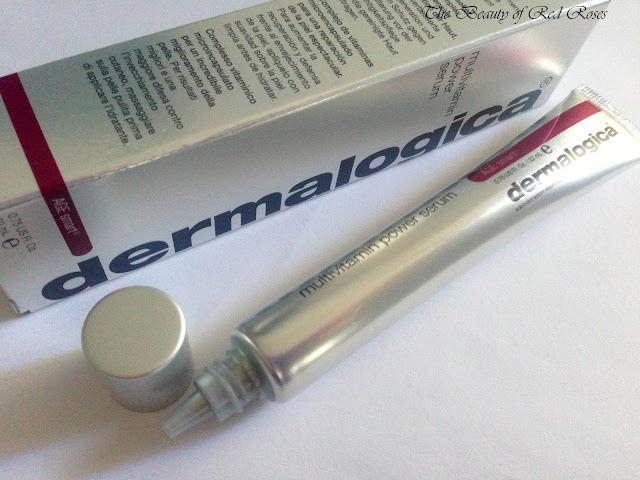 My skin has always indulged and reaped the benefits of Dermalogica skin care products and what's new to have arrived is a powerful and potent serum! I am excited to say that Dermalogica has recently launched their brand new Multivitamin Power Serum (A$85/22ml) which is to be used for daytime use (as opposed to the Dermalogica Overnight Repair Serum for night time use). Dermalogica Multivitamin Power Serum aims to intercept early signs of ageing from the benefits of antioxidant ingredients (Vitamins A, C, E and F) and a skin-strengthening peptide, Hydroxypinacolone Retinoate (HPR), to enhance skin recovery, reduce the appearance of pigmentation and dark spots, boost skin elasticity and provide smooth and soft looking skin. Dermalogica Multivitamin Power Serum is part of the AGE Smart series and despite being in my twenties, prevention of fine lines and any other signs of ageing is important and never too early to think about! Not only is the Multivitamin Power Serum great for prematurely-aging skin, but it is also suitable for mature skin. Multivitamin Power Serum has a rich texture that is featherlight and has a lovely velvety silicone feel which ensures smooth and easy application for even distribution across the face. Just a teeny tiny pearl size amount is adequate and the serum penetrates the skin almost instantly, leaving a nice matte finish, ready for applying my moisturiser. After using this serum on a daily basis for about 4 weeks, my complexion is noticeably brighter, more plump and smoother. 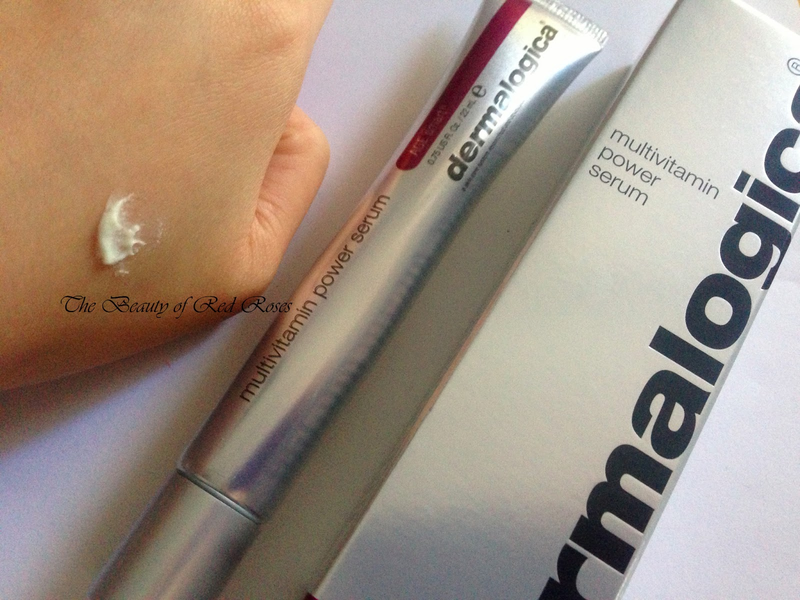 Multivitamin Power Serum is an excellent age preventative solution for my skin and I'm so glad Dermalogica has formulated such an effective serum for my pre-mature skin. Since I'm only using tiny amounts at each time, I'm sure this concoction of antioxidants and goodness will last at least a good 3 months! Dermalogica Multivitamin Power Serum is available online at Adore Beauty and The Facial Company and in-store at David Jones and Myer department stores. 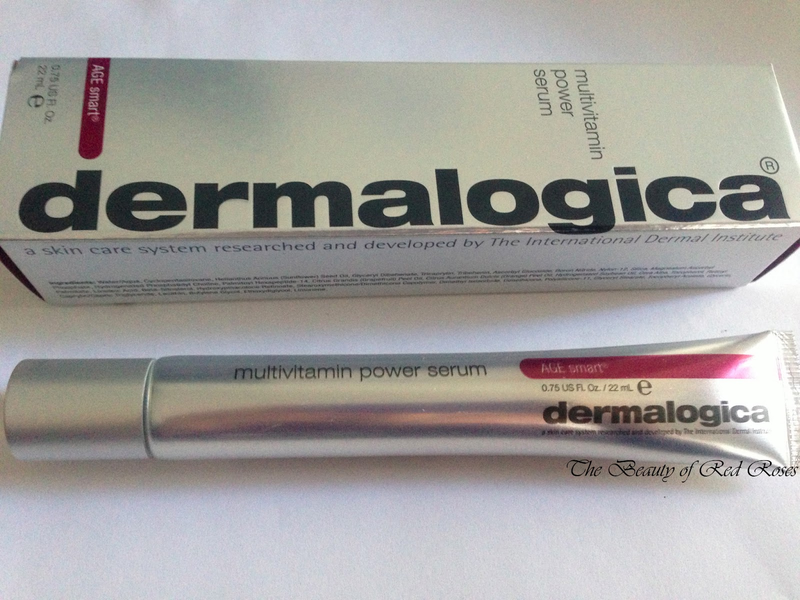 Have you tried Dermalogica's new Multivitamin Power Serum? Which facial serums are you loving at the moment? Product was provided for consideration only. This review is 100% based on my own thoughts and opinions. I am not affiliated with Dermalogica and did not receive remuneration to post this product review. will this work even for those with sensitive skin types and the skin which is acne prone? Hi there young hopes, Multivitamin power serum contains highly active ingredients and its rich texture may not be the best product for your sensitive and acne-prone skin. If you are interested in using a serum which is suitable for sensitive skin and calm breakouts, then the Dermalogica Ultra Calming serum concentrate may be best for you. If you are interested to have your skin examined by a professional skin therapist, you are welcome to pop into Dermalogica's head office and they will recommend the most suitable Deramalogica products to your skin concerns. Hope this helps!